Below you fill find all funeral homes and cemeteries in or near Hayfield. Hayfield is also known as: Dodge County / Hayfield city. Zip codes in the city: 55940. Hayfield is a city in Dodge County, Minnesota, United States. The population was 1,340 at the 2010 census. It was revealed by The Desert Sun on November 18th, 2017 that Nordis G Munnikhuysen (Kyllo) died in California. Ms. Munnikhuysen was 95 years old and was born in Hayfield, MN. Send flowers to express your sympathy and honor Nordis G's life. It was revealed by Monterey Herald on August 3rd, 2016 that Marjory Jean Delapaz (Tebay) passed away in Monterey, California. Ms. Delapaz was 95 years old and was born in Hayfield, MN. Send flowers to express your sympathy and honor Marjory Jean's life. It was noted by The Daily Herald on July 6th, 2016 that Maxine L Leckman passed away in Libertyville, Illinois. Leckman was 96 years old and was born in Hayfield, MN. Send flowers to share your condolences and honor Maxine L's life. It was reported by San Diego Union-Tribune on March 25th, 2015 that Kathleen Anona "Kathy" Munyer (Eastlee) perished in Escondido, California. Ms. Munyer was 87 years old and was born in Hayfield, MN. Send flowers to express your sympathy and honor Kathleen Anona "Kathy"'s life. It was written by The News Tribune on February 19th, 2014 that Hubert Ernest "Herb" Dahlen died in Federal Way, Washington. Dahlen was 79 years old and was born in Hayfield, MN. Send flowers to express your sorrow and honor Hubert Ernest "Herb"'s life. It was revealed by Orange County Register on August 1st, 2013 that Jacob Wilbur Christensen died in California. 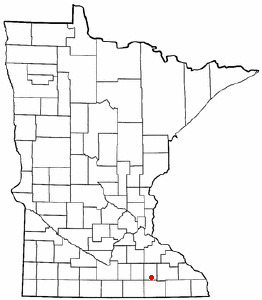 Christensen was 88 years old and was born in Hayfield, MN. Send flowers to express your sympathy and honor Jacob Wilbur's life. It was noted by San Diego Union-Tribune on July 19th, 2013 that Marlene Ebert (Jondal) passed away in San Diego, California. Ms. Ebert was 81 years old and was born in Hayfield, MN. Send flowers to express your sorrow and honor Marlene's life. It was disclosed on January 16th, 2013 that Lois J Crowley (Quist) passed on in Hayfield, Minnesota. Ms. Crowley was 84 years old. Send flowers to express your sympathy and honor Lois J's life. It was written by Modesto Bee on November 14th, 2012 that Sara G Townsend passed away in Turlock, California. Townsend was 83 years old and was born in Hayfield, MN. Send flowers to express your sorrow and honor Sara G's life. It was revealed by Modesto Bee on April 24th, 2012 that Linda Joy Johnson (Gransee) passed on in Modesto, California. Ms. Johnson was 65 years old and was born in Hayfield, MN. Send flowers to express your sympathy and honor Linda Joy's life. The population was 1,325 at the 2000 census. Hayfield is a city in Dodge County, Minnesota County, Minnesota, United States. . . . The official website for the city of Hayfield is http://www.hayfieldmn.com/. Listing all funeral homes in Hayfield, Minnesota so you can easily send flowers to any location (same day delivery) or find any funeral service. Hayfield Funeral planning made easy! Learn how to pre-plan your funeral in Hayfield, Minnesota, including step-by-step directions. We work with local florists and flower shops to offer same day delivery. You will find budget sympathy flowers in Hayfield here. Our funeral flowers are cheap in price but not in value.